The track times printed on sleeve are incorrect. Produced, recorded and mixed for 7PM. Vocals and vocal arrangement for Red Parrot Management. Additional backing vocals for 7 PM. Published by Polygram Music Publishing Ltd. / Copyright Control. Produced, recorded and mixed for 7 PM. Manufactured in the European Community. 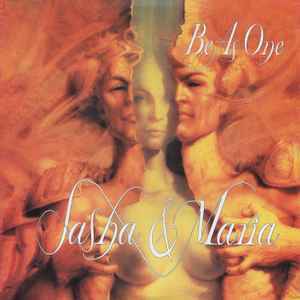 Yet another brilliant Sasha venture, this time featuring Maria Nayler on vocal duties. Whilst she doesn't have an incredibly broad range, and has been brought down on occasion by the musical elements of her pieces (Robert Miles - 'One And One'), I feel that she compliments Sasha's lush score here to perfection. True to form, Sasha paces the peaks of the track nicely, and allows it to evolve and develop. 13:20 is modest for the amount of inspiration here. The only downside to the CD release is that 'Heart Of Imagination' (also known as BT Qat) has been edited from the original 11 minute version. As per Sasha and BT's other collaborations, the B side stands up to, and almost runs the risk of outdoing the A. Excellent progressive release all round.